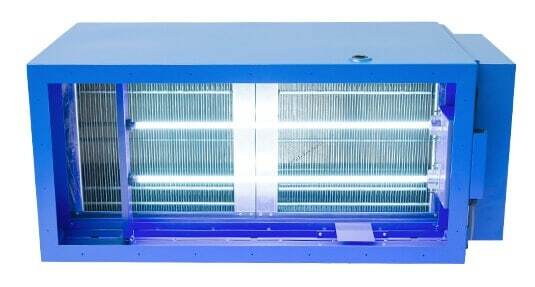 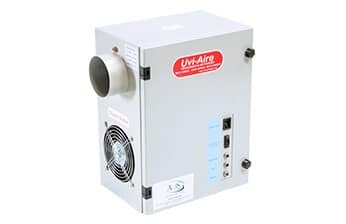 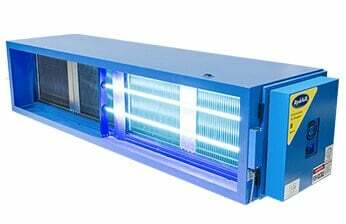 Air & Odour Solutions’ 2 in 1 electrostatic unit combines both electrostatic air cleaner and UV ozone technology to both remove grease, smoke and odours from the kitchen exhaust system. 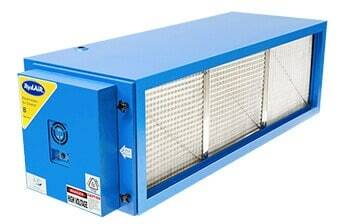 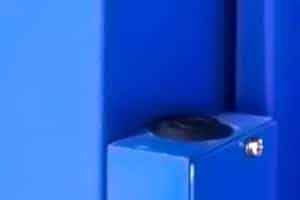 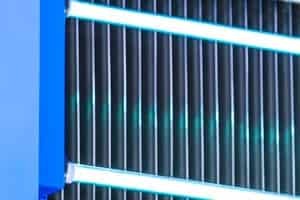 The electrostatic air cleaner unit works by ionising and trapping grease and smoke particles onto the pre-filters and cells and has been specially designed for commercial kitchen applications. 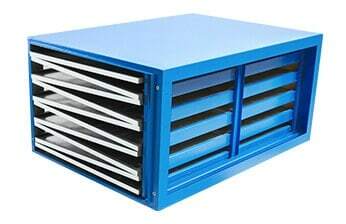 The unit is approved by Australian and New Zealand standards 1668 parts 1 & 2 and meets all the BCA performance requirements, the unit is tested to ASHRAE standards at Blue Haven Technologies KY USA. 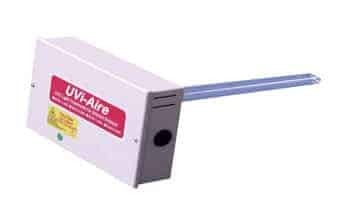 UV ozone is made up of 3 oxygen atoms, compared to the usual 2. 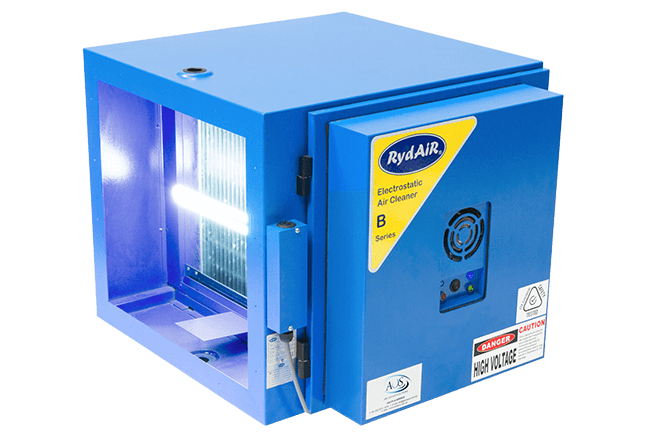 When ozone comes into contact with smoke and odour elements, it bonds one of its atoms to the other element, destroying it. 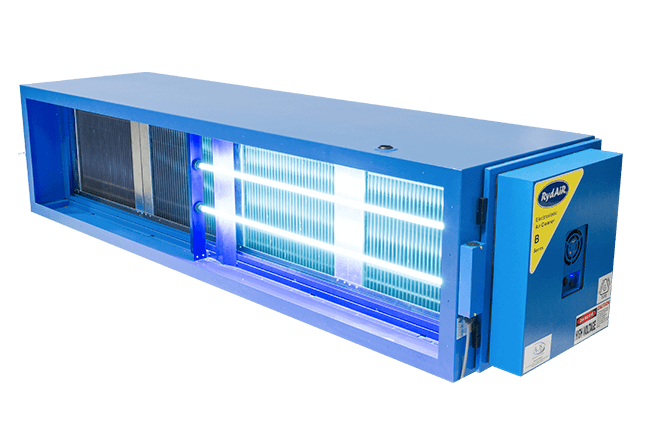 Ozone is especially efficient at breaking down smoke and odour particles to eliminate pollutants and ideal for fast paced kitchen environments. 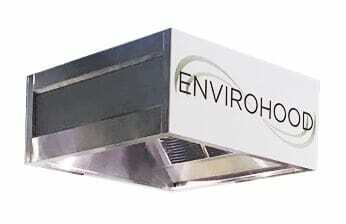 Oil and grease produced in restaurant cooking areas build up over time in the kitchen exhaust hood, fan and ducts. 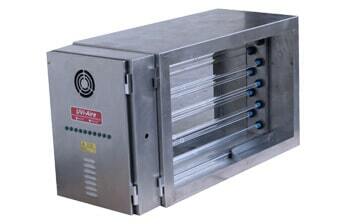 When parts of the kitchen exhaust system are not cleaned on a regular basis, this poses potential fire hazards. 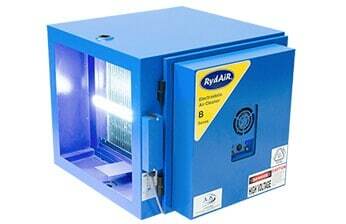 Installing UV lamps will enable the ducting to be easily cleaned when maintenance does occur in the air cleaner unit. 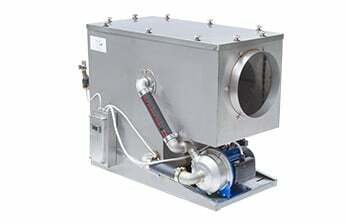 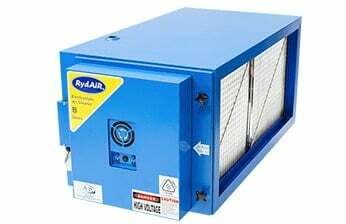 Contaminated air is drawn by the fan through a washable metal mesh pre-filter which traps large dust particles. 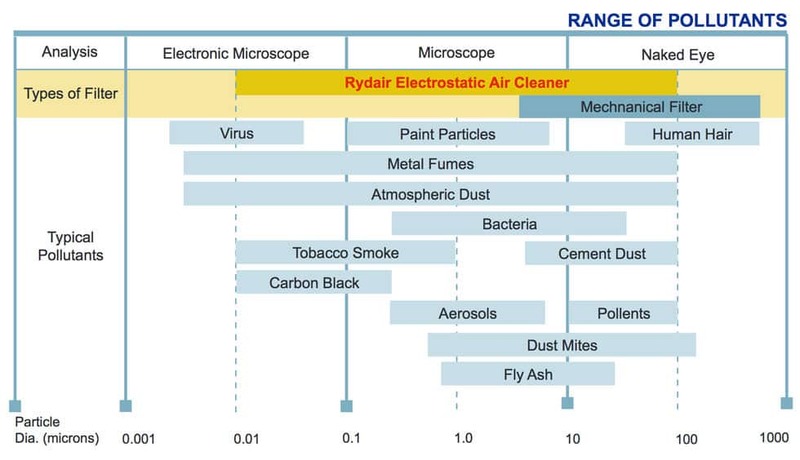 The remaining particles, some as small as 0.01 microns, pass into a strong electrical field (ionising section) where the particles receives an electrical charge. 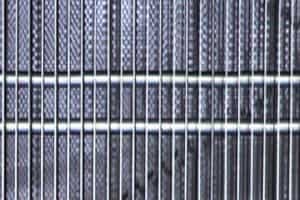 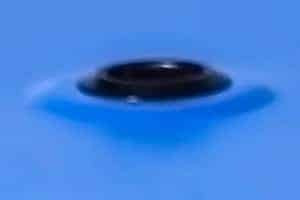 The charged particles then pass into a collector plate section made up of a series of equally spaced parallel plates. 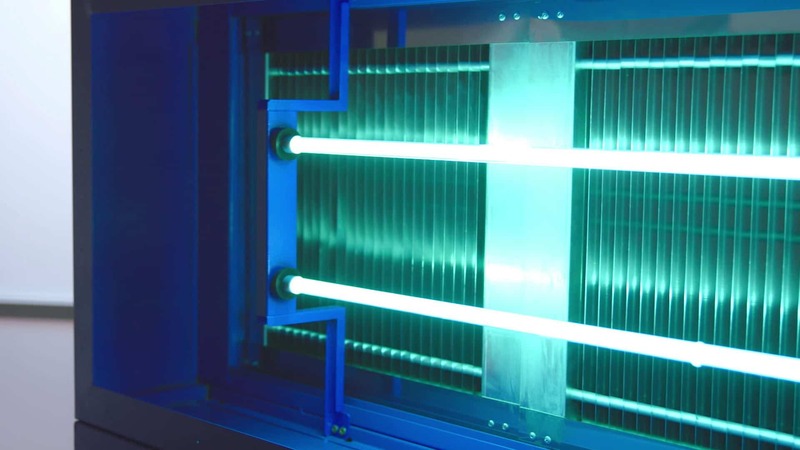 Each alternative plate is charged with the same polarity as the particles, which repel, while the interleaving plates are grounded, which attract and collect the contaminants. 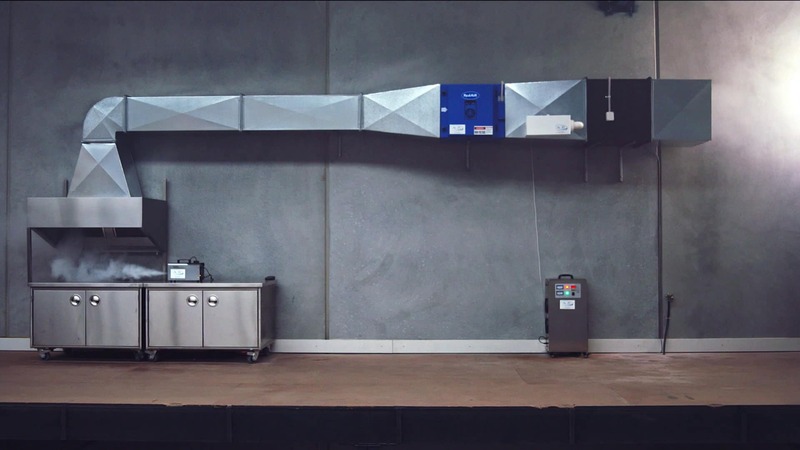 The contaminants are held in these plates until they are washed away. 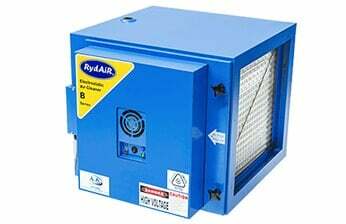 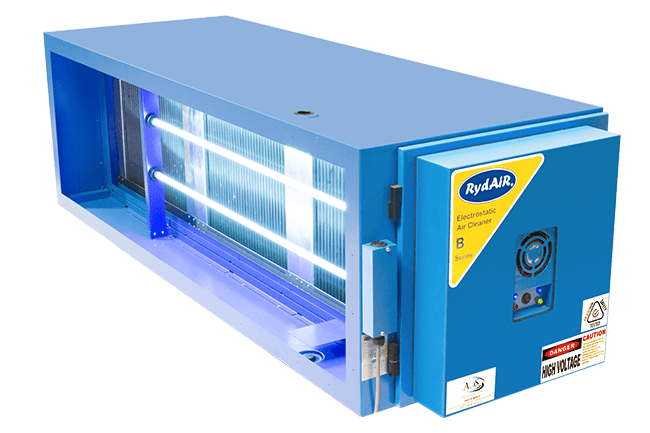 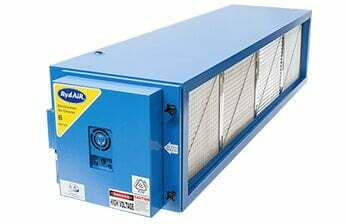 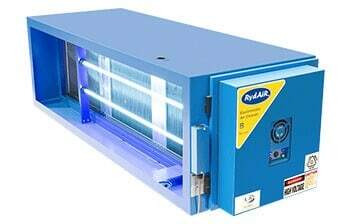 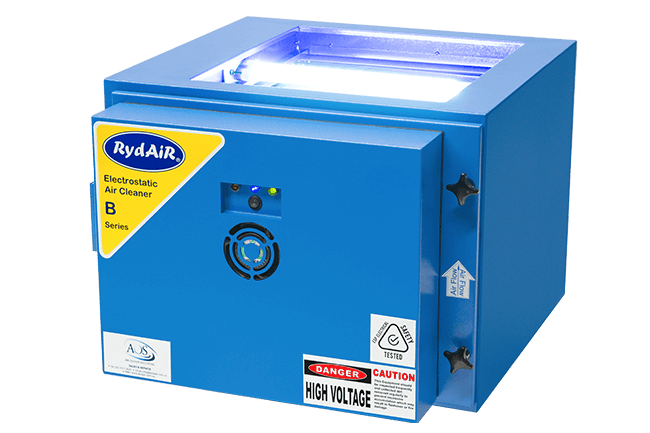 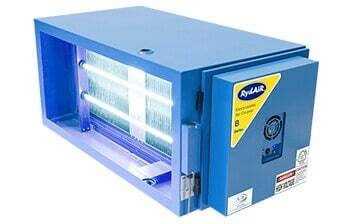 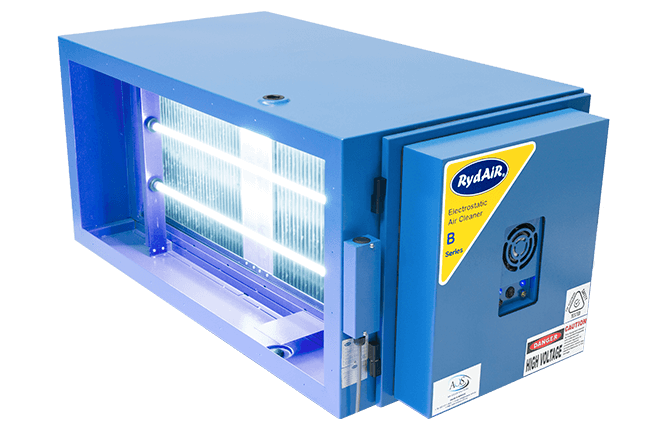 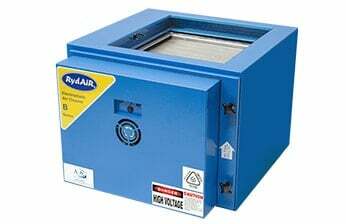 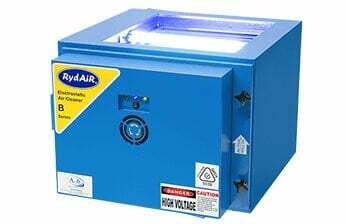 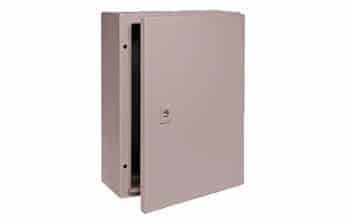 RydAir electrostatic air cleaners are able to trap both wet and dry particles.